The United States and its Western allies have recently undertaken airstrikes and other military measures against the Islamic State (I.S., also known as ISIS or ISIL) in Iraq. Contrary to the spirit of most statements coming out of Washington, however, this military action cannot be properly viewed as simply an effort to “degrade and ultimately destroy” the Islamic State—mainly because the Western actions are limited only to air strikes, which would be ineffective on their own in achieving that end. 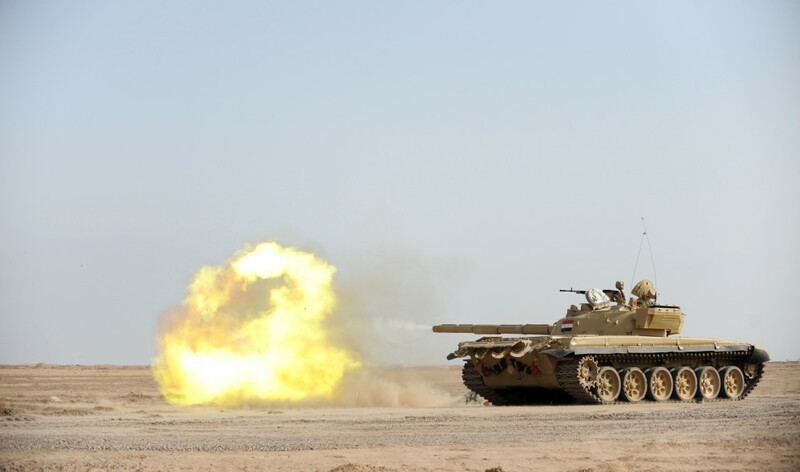 Rather, this campaign is quite obviously meant to help the main ground forces currently fighting the I.S.—namely, the Iraqi government and Shia militias in Iraq—in the hopes that the Islamic State may be defeated through their combined efforts. What has been very little discussed in the West, however, is that it is the Shia militias who are quickly eclipsing the Iraqi government forces in importance in Iraq; and that these militias are largely dominated by the Islamic Republic of Iran. Indeed, many are Iranian proxies. 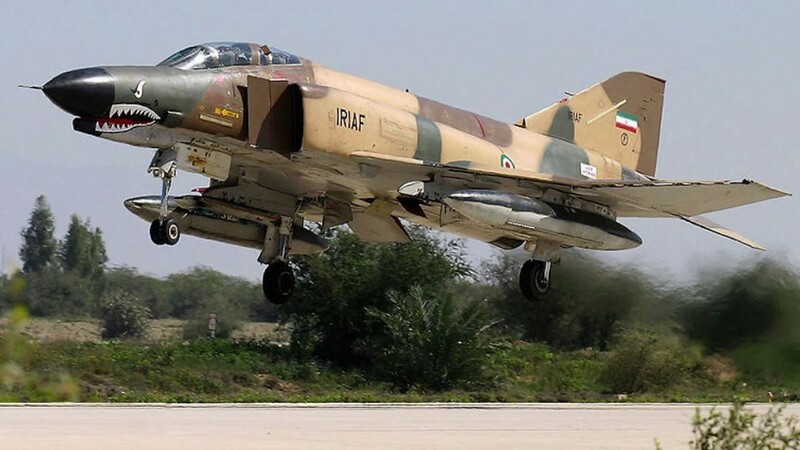 In other words, the U.S. and its allies have launched an air campaign whose most important effect, if successful, would be to advance Iran’s agenda of dominating Iraq and eventually becoming the hegemonic power in the region. How did this happen, and what might its consequences be? The fall of Mosul in June to a Sunni insurgent offensive spearheaded by the I.S.—which quickly asserted decisive authority in the city at the expense of its allies—revealed the incompetence of Iraq’s conventional armed forces, which are plagued by the same rampant corruption and nepotism that are pervasive in Iraq’s post-Saddam political order. The Shia militias, backed and coordinated by Iran, are now filling the vacuum left behind by the regular army. This phenomenon was rapidly if unintentionally bolstered by a fatwa from Iraq’s most senior Shia cleric, Ayatollah Sistani, on the obligation to defend the country in the face of the I.S. threat. While Sistani had intended to encourage people to enlist in the official security forces, in practice his fatwa midwifed the broad umbrella of Shia militias conventionally dubbed al-hashad al-sha’abi (“the popular mobilization”) in the Iraqi press. The militias themselves, however, like to call themselves, somewhat ominously, al-muqawama al-islamiya (“the Islamic resistance”). Due to the wave of enlistment set off by Sistani and the weakness of the official security forces, there is scarcely a single area in which at least some of the Shia militias are not operating. In many cases, such as the recent successful offensive to clear the I.S. out of Jurf al-Sakhr—a predominantly Sunni area of Babil province, south of Baghdad—and the ongoing fighting to dislodge the I.S. from al-Muqdadiya in Diyala province, it is clear that the fighting has been or is being led by Shia militias. The growing importance of the Shia militias’ resistance to the I.S. in Iraq is not simply the result of their own combat skills. It is very much a product of the Iranian Revolutionary Guard Corps (IRGC), the Iranian regime’s elite paramilitary force, whose role in regional conflicts—and, it should be noted, terrorism—is large and expanding. The Shia’s success in Iraq reflects the effectiveness of IRGC doctrine regarding the construction, support, and use of sectarian political and military proxies as a central tool—sometimes the central tool—of Iranian policy in the region. Iran has displayed a peerless ability to harness and utilize forces of this kind in the Middle East. It is a major factor in Iran’s ongoing success in building political influence in surrounding countries. The prototype for this approach was the establishment and sponsorship of the Shia terrorist group Hezbollah in Lebanon. Following the end of Syria’s occupation of Lebanon in 2005, Hezbollah rapidly emerged as the dominant political actor in the country, able to conduct its own military policy of aggression against Israel without any need to consult with other Lebanese factions. For a considerable period, Iran’s success in Lebanon appeared to be unique. Its clients elsewhere were far less powerful and influential. However, the current unrest in the Middle East, characterized by the contraction or collapse of state authority in a variety of countries, has created an environment in which Iran’s skills have become extremely effective. As a result of the weakening of the central government in Yemen, for example, the Iran-supported Houthi militia is now the decisive force in the capital, Sana’a, and looks set to determine the makeup of the next government. Most importantly, however, and most relevant to Iraq, the Iranian ability to utilize sectarian paramilitary formations was perhaps the crucial factor in turning the tide of the Syrian civil war and preserving the Iran-backed regime of Bashar al-Assad. The darkest days of the Assad regime were the closing months of 2012. At that time, with the rebels having succeeded in entering the city of Aleppo and the eastern suburbs of Damascus, it looked as though the regime’s days were numbered. The use of sectarian political and military proxies is the central tool of Iranian policy in the region. The problem for the Assad regime—similar to the current government of Iraq—was that, while the Syrian dictator possessed a large army on paper, the loyalty or reliability of many units was suspect. Hence, only a certain percentage of the armed forces could be reliably deployed. Assad’s power base is Syria’s Alawi minority, which is relatively small in numbers. Because of this, many analysts thought that the defeat of the Assad regime in Syria was simply a matter of time, because the narrow sectarian base of the regime meant that Assad would simply run out of men willing to take a bullet on his behalf. The Iranians, however, spotted something different: On both sides, the number of men actually engaged in the fighting was relatively small. The Syrian civil war was one of small militias, not massive conventional armies. This meant that the establishment or insertion of a relatively modest number of committed men could make a major difference. In early 2013, under Iranian supervision, the number of Hezbollah fighters operating in Syria was increased. In tandem with this, the Iranians and Hezbollah began to train members of the Alawi paramilitary groups known as the Shabiha, which were reformed into a group called the National Defense Forces (NDF). The NDF was a light infantry force of about 40,000 men that was deployed in the spring of 2013 alongside Hezbollah and reliable elements of the Assad-controlled Syrian Army, as well as some Iraqi Shia paramilitary forces. This closed the Syrian regime’s gap in manpower, and played a key role in pulling it back from the precipice. In the summer of 2014, the army of another Iranian ally—the Iraqi government—faced a similar situation in regard to the Islamic State. At that time, a number of analysts predicted that the Iranians were likely to follow a similar strategy to that of Syria. It is now clear that Iran has pursued precisely such a policy, and with considerable success. Almost immediately, Qassem Suleimani, commander of the Quds Force of the IRGC—the agency tasked with the creation and use of proxy political and military forces—was sent to Baghdad. Very clearly, his task was to coordinate the Iraqi response. His influence appears to have been decisive in shaping the Iraqi response. Predictably, it involves the use of militias and Shia sectarianism along the lines pioneered in other countries. As an Iraqi official quoted byThe Guardian put it, “Who do you think is running the war? Those three senior generals who ran away? Qassem Suleimani is in charge. And reporting directly to him are the militias.” Since then, Suleimani has guided much of the fighting against the I.S., and has even been physically present at a number of key engagements. Alongside the Quds Force leaders, there are reliable reports of dozens of IRGC and Lebanese Hezbollah advisers on the ground in Iraq. 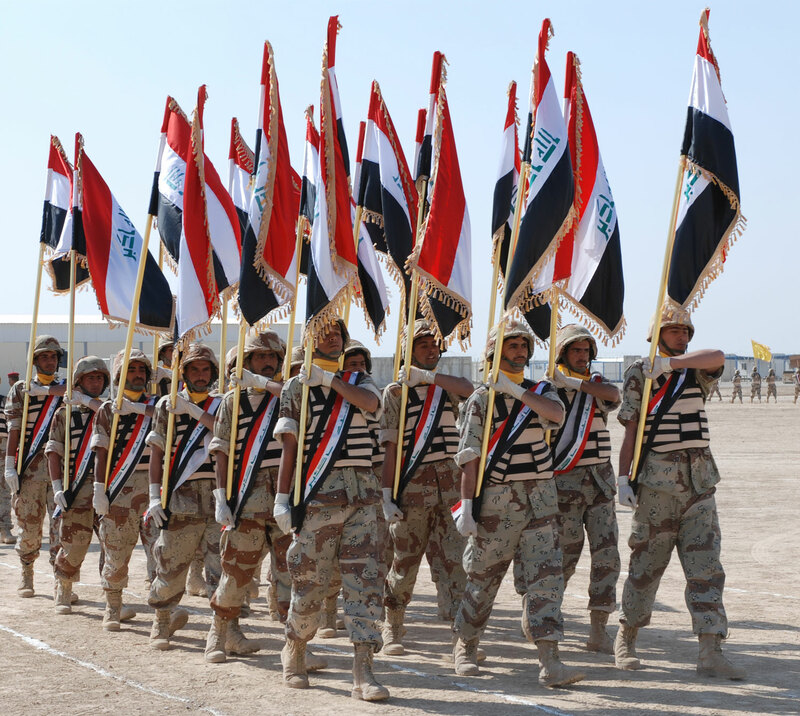 In addition, Iraqi paramilitaries deployed in Syria have been returned to Iraq in order to join the fight. So, what is happening in Iraq today is directly analogous to what happened in Syria. The Iran-aligned, Shia-dominated government in Baghdad is being protected from Sunni insurgents through the efforts and methods of the IRGC’s Quds Force, the most effective instrument of Iran’s regional policy. This, of course, has major implications for Western policy, which at the current time is acting as the air wing for this campaign. Precisely who are these militias, and how is Iran aiding them? There are, at the very least, dozens of Shia militias in Iraq. The oldest date back to the days of the U.S. occupation prior to 2011 and are clearly proxies of Iran. They receive training and weapons from the IRGC, and are dedicated to implementing Iran’s ideological system of governance in Iraq. Iran, however, does not want any of these groups to become powerful enough to break off and follow its own agenda. To prevent this, it maintains multiple proxy militias competing against each other. Among the main proxies in question are Asa’ib Ahl al-Haq (AAH), which developed particularly close relations with ex-Iraqi Prime Minister Nouri al-Maliki; Kata’ib Hezbollah (with its front group Saraya al-Difa’ ash-Sha’abi); and the Badr Organization. All three of these organizations have deployed fighters to Syria to assist the Assad regime, and have also been participating in the Iraqi government’s military efforts in Anbar since the beginning of this year, when Fallujah and parts of Ramadi first fell out of government control. Besides these three important actors, other Iranian proxies exist, including Saraya al-Khorasani, Kata’ib Sayyid al-Shuhada, and Harakat al-Nujaba’, all of which have also deployed in Syria. These groups make no attempt to hide their ideological affinities with Iran, featuring portraits of Iran’s Supreme Leader Ayatollah Khamenei on their social media sites and “martyrdom” funeral banners for slain fighters. Besides the direct Iranian proxies, a number of other Shia militias exist, the vast majority of which can be tied to one Shia political figure or another. The most well-known of these is undoubtedly Saraya al-Salam [“The Peace Brigades”], the reconstituted Mahdi Army of Islamist political leader Muqtada al-Sadr. Another interesting case is a militia known as Liwa al-Shabab al-Risali, which claims legitimacy through the Najaf-based cleric Ayatollah Muhammad al-Yaqoubi and ties itself to the legacy of Muqtada al-Sadr’s father, Ayatollah Muhammad Muhammad Sadeq al-Sadr. Also of interest are Sadrist-leaning militia brands that first emerged in Syria but have since withdrawn to Iraq, such as Liwa Dhu al-Fiqar. Elsewhere on the mainstream Shia political spectrum, there are militias linked to figures from the Islamic Supreme Council of Iraq (ISCI), a Shia Islamic political party. These include Saraya Ansar al-Aqeeda, led by Sheikh Jalal ad-Din al-Saghir, and Saraya Ashura’, led by Ammar al-Hakim. These militias appear to be an attempt by ISCI figures to create their own military forces to rival the Badr Organization, which originated as a break-off from ISCI. Other militias exist that can be tied to figures known for strong pro-Iranian tendencies, for example Kata’ib al-Ghadab, which is tied to the pro-Iranian Da’wah Party (Tanẓim al-Dakhil). Still other groups can be readily identified as clear attempts to emulate Iranian proxies or other Shia militias, such as “Kata’ib Hezbollah – the Mujahideen in Iraq” led by Abbas al-Muhammadawi of the Abna’ al-Iraq al-Ghayyara political bloc, and the Abu al-Fadl al-Abbas Forces, based on the famous Syrian Shia militia, Liwa Abu al-Fadl al-Abbas. Naturally, the Shia militias are by no means a monolithic ideological bloc. The most obvious tension is between the Iranian proxies and those who follow the movement of Muqtada al-Sadr. This is the case even though their rhetoric often overlaps. They both emphasize the “defense of the homeland and the holy sites,” and attempt to claim they are unified behind the common cause of “resistance” and Shia sectarian pride. Nonetheless, the groups that are not explicitly aligned with Iran are by no means outside Iranian influence or control. Their relationship with the Islamic Republic is simply more complex and ambiguous than others. In an interview with Aws al-Khafaji after the capture of Jurf al-Sakhr, the Shia militias that participated are listed as “The heroic brothers of Badr, Saraya al-Salam, Asa’ib [Ahl al-Haq], [Harakat] al-Nujaba, the Abu al-Fadl al-Abbas Forces … and some of the other Islamic factions.” That Badr was mentioned first seems to confirm the group’s leading role in the operation. Needless to say, the proliferation of Shia militias in Iraq, with Iranian proxies as the strongest players, has important implications. Due to the security situation in Iraq, the Shia militias will be necessary for the foreseeable future in the fight against the Islamic State. It is also highly unlikely that these militias will simply disband even if told to do so. Thus, it is worth assessing the implications of their rise to prominence and power. First, it demonstrates the extent to which Iran considers the government of Iraq a client or proxy regime; one that Tehran will not allow to develop its own powerful, independent institutions and military. The government in Baghdad, like the regime in Damascus, is to be saved from those who would destroy it, but only in such a way that its future is to be an instrument of Iran’s will. The Iranians’ innovative use of sectarian militia power and the cultivation of a variety of paramilitary clients ensures that, if they get their way, no Iraqi government will be in a position to disobey them. Moreover, Iran’s role in Iraq is clearly part of its desire—tracing back to the regime’s founder, Ayatollah Khomeini—to spread its ideology throughout the Shia population of the Middle East. What this means is that, while the new sectarian military formation being developed by the Iranians in Iraq is likely to prove sufficient to stem the advance of the overstretched I.S. forces, they are also part of Tehran’s larger regional strategy to produce a contiguous line of pro-Iran states between the Iran-Iraq border and the Mediterranean Sea. The fragmentation of Iraq and Syria may well thwart that ambition. But Iran has shown that its practice of creating and utilizing proxy political and military forces as a key instrument of policy is sufficient to defend its own interests—if not always to entirely defeat or destroy its Sunni enemies. The Quds Force is now proving this once again in Iraq. For the U.S. and its allies, this may represent a short-term advantage, but it is a long-term threat. The Iranian proxy militias, quite naturally, also embrace Iran’s ideology, which is intensely anti-American, anti-Western, and indeed, anti-Semitic. They parrot, for example, Iran’s official propaganda line, according to which the I.S. is supposedly a creation of “the Great Satan” (i.e., the United States) and/or the Jews. Nor does the eventual creation, or attempt to create, an Iranian sphere of influence across the Middle East bode well for American or Western interests. However effective they may be in fighting the I.S., Iran’s proxy militias in Iraq are part of this agenda and are helping Iran pursue it. Thanks to current Western policy, this time they are doing it with Western air support. It’s in Western interests to kill as many Daesh terrorists as possible, especially those from Western countries. Better that they end up in shallow graves in Syria and Iraq rather than return ‘home’ to commit atrocities in the West. And as you say, Syria and Iraq are now fragmented, so Iran and its proxies will not be able to achieve hegemony across the so-called “Shi’ite Crescent”. This conflict will last a long time and will drain Iran and its allies of money and resources.